According to this genealogical record in Luke, the patriarch Jacob traces directly to Jesus (see Luk 3:23-34). In addition to chronologically concluding the genealogy of Jesus, Luk 3:23 also gives the age at which he began his ministry; that being “about thirty years of age” (ωσει ετων τριακοντα), which has a numerical value of 3022. The first occurrence of 3022 in pi is followed by the four digits 9219. The term “Emmanuel, which being interpreted is, God with us” (εμμανουηλ ο εστι μεθερμηνευομενον μεθ ημων ο θεος) has a numerical value of 3482. The first occurrence of 3482 in pi begins from position 86. Jesus’ ministry began at "about thirty" years of age. We learn from ﻿Pirkei Avot﻿ 5:24 (Ethics of The Fathers) that thirty is the age of full authority. His ministry was initiated by being tempted in the wilderness for forty days and nights (Luk 4:1-13). And it ended with his death by crucifixion, after 6 hours on the cross. In the original Greek, “thirty” (τριακοντα) has a numerical value of 852. Beginning from position 852 in pi are the six digits 101000. The first occurrence of 852 is followed by the three digits 110. This looks like binary code, and so it seems. “Jacob is the lot of his inheritance” (יעקב חבל נחלתו) has a gematria value of 716. The first occurrence of 716 in pi begins from position 39, and is followed by the three digits 939. The next three digits are 937. There are 937 words in the first 69 chapters of the Bible, which in this slice of pi (6939937) encapsulates the “one LORD” ideology so crucial to monotheism. This is important, as in the previous verse (Deu 32:8) it was Elyon (עליון) translated as “The Most High” who divided the nations, and set the divisions of man. Elyon is the formal title of El, who in the Ugaritic literature of ancient Canaan ruled over a pantheon of lesser gods. Preceding 716 in this pi sequence are the six digits 288419. The sequence 110 is followed by 5559. After his life being threatened by Jezebel, a frightened Elijah fled south across Judah, and into the wilderness beyond (1 Ki 19:1-4). 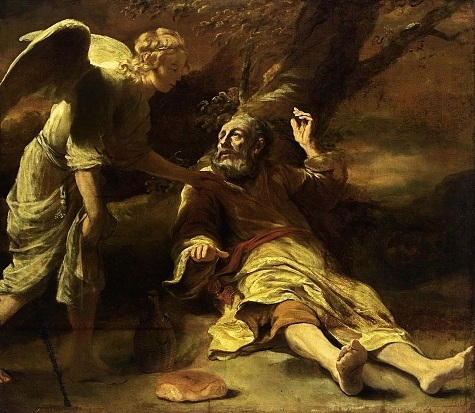 After being visited by an angel, Elijah walked forty days and forty nights, to the mountain at Horeb. And lo, the LORD passed by. And after the wind, the earthquake and the fire… a still small voice. The phrase “a still small voice" (קול דממה דקה) has a gematria value of 334. Beginning from position 334 in pi are the four digits 8292. The longest chapter in the Bible is Psalm 119, which is an eight-fold alphabetic acrostic. That is, each letter of the Hebrew alphabet is assigned eight verses. The Hebrew letter with a gematria value of 30 is lamed (ל). The first “lamed” verse in Psalm 119 has a gematria value of (0)962. The first word in this verse; לעולם (“LAMED. For ever”) has a gematria value of 176, the same as the number of verses (22 x 8) in Psalm 119. The skill of the poet has only recently begun to be appreciated. For example, in the spirit of the Psalm’s octal structure, there are eight main words used for “Torah”, with English translations including word, statutes, law, commandments, judgements, testimonies, ordinances and precepts. In kabbalah, the sephirot associated with the Messiah is tiphereth (תפארת) which means "beauty" or "glory". Tipharah or tiphereth is Strongs H8597, which is translated 51 times in 50 Bible verses (KJV). One of these is in Isa 64:11, where it is spelled ותפארתנו making it the only word in the Hebrew Bible with a gematria value of 1143. This word tiphereth can also be spelled with an added "lamed" (see 2 Ch 3:6) to become לתפארת which also has a gematria value of 1111. The word “lamed” (למד) means “to learn” and “to teach” (Strongs H3925). The words “learn” and “teach” appear respectively in 32 and 108 Bible verses (KJV). In another coincidence, enough to delight even the poet, 2486 is the gematria value of the eighth verse of the Bible’s eighth chapter (Gen 8:8). This verse begins with "Also he sent forth a dove" (וישלח את היונה) which has a gematria value of 831. Beginning from position 831 in pi are the three digits 334, which as we have already seen, is the gematria value of "a still small voice" (קול דממה דקה) from 1 Ki 19:12 .
the totient of 334 ("a still small voice") = 166 (Elyon), "the most High"
Job 19:25 said "I know that my redeemer liveth..."
Sir Neville Marriner performing I Know That My Redeemer Liveth, Sylvia McNair, The Academy of St. Martin in the Fields. The Hebrew word for "redeemer" is גאל (ga'al), which sometimes refers to God, who is the Redeemer of Israel. Job, however, is not referring to God, but about a future kinsman (redeemer) by whom he will vindicated for what God has done to him. In the Bible, when Redeemer refers to God, it is spelled with a capital R.
Appropriately, the first occurrence of 3456 in pi is followed by the single digit 8. Beginning from position 3456 in pi are the three digits 210, the number of years of the Egyptian exile. Both these are straight line numbers (of which only 96 are not repdigits). Again, the next digit is 8. 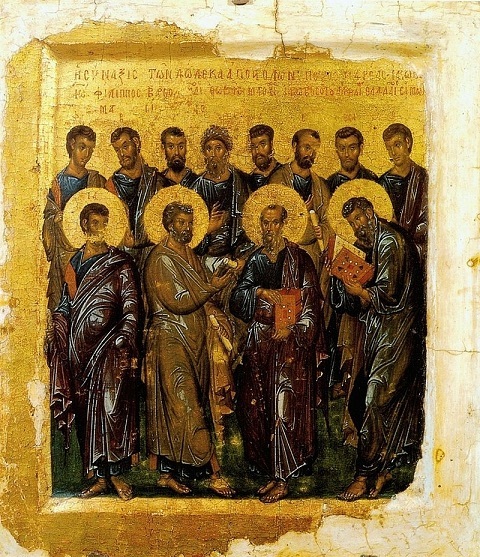 Synaxis of the Twelve Apostles by Constantinople master (early 14th Century) Pushkin museum. The numerical values of these eight disciples sum to 5078. The first occurrence of 5078 in pi is followed by the three digits 424, which is the gematria value of משיח בן דוד (Moshiach ben David) who is Jesus Christ, the son of David. 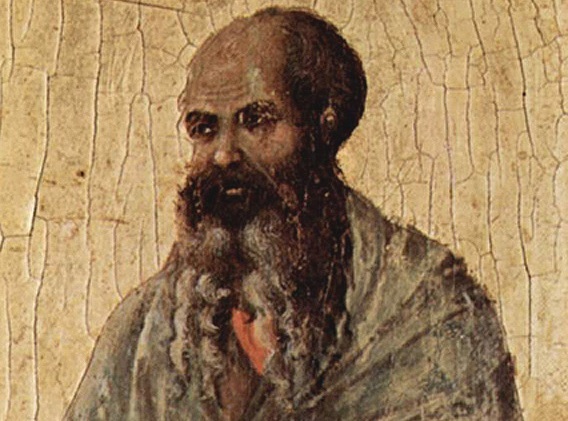 The Greek word “disciple” is μαθητης (mathetes) G3101, which originally meant learner, or student. In the Hebrew Bible, the equivalent word to the Greek "disciple" is למוד (lammud) Strongs H3928 meaning “one who is taught”. H3928 is translated three times in the Book of Isaiah, including Isa 8:16 where it is translated as “disciples” in the KJV. In this verse, the word is בלמדי (“among my disciples”) which has a gematria value of 86. Strongs H3928 “lammud” (adjective) is taken from the root word “lamed” Strongs H3925 (verb). Immediately preceding lamed in the Hebrew alphabet is the letter kaph (כ), which has a gematria value of 20. On account of its spooned shape, the word “kaph” (כף) ﻿Strongs H3709﻿ means hand, particularly a curved palm of the hand. the 100th prime number is 541, the gematria value of ישראל (“Israel”). In Psalm 119, the first word of the last KAPH verse begins with the letter כ (kaph). This word כחסדך (“after thy lovingkindness”) has a gematria value of 112. Like the Hebrew alphabet, the final KAPH verse consists of 22 letters. It has a total gematria value of 1332. Jesus said that he was the first and the last, the Alpha and the Omega. In the Nestle-Aland textform of the Greek New Testament, Alpha and Omega is αλφα ω, which has a numerical value of 1332. The Greek Alpha and Omega (the first and the last) have their equivalent in the Hebrew Aleph and Tav. In the Aramaic section of the Tanakh, the combination of these two letters form the word את (owth) meaning “signs”, or “miraculous signs” (H852) and is translated three times in three Bible verses (Dan 4:2; 4:3; 6:27). 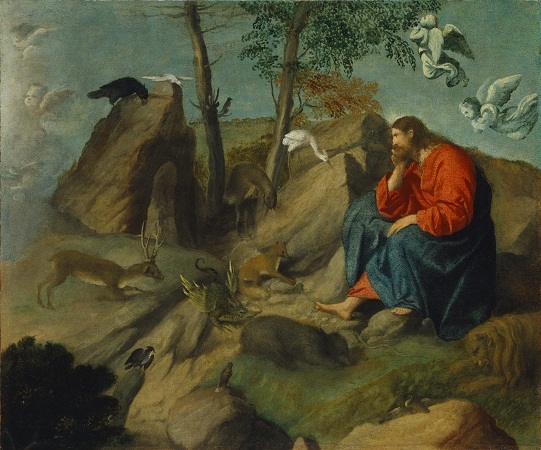 These signs and wonders were wrought to Daniel by the high God (Elah Illay). 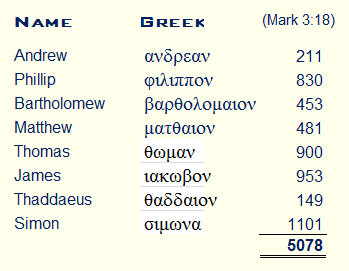 It’s interesting that the Strongs reference number (H852) corresponds with the numerical value of τριακοντα (“thirty”), the age at which Jesus began his ministry. The word “signs” appears in 52 Bible verses (KJV), and the first occurrence of 52 in pi overlaps 852, and is followed by 110 (equal to 6 in binary) then 5559 (1 Ki 19:11). In Mat 1:23, the word Εμμανουηλ ("Emmanuel") is interpreted as “God with us” (μεθ ημων ο θεος), which has a numerical value of 1306. In another coincidence, the first occurrence of 1306 in pi is followed by the two digits 20 (the gematria value of the letter kaph), then those same four digits 5559 (1 Ki 19:11). The intermediate digits are 110 in the first instance, and 20 in the second. Beginning from position 2200 in pi are the two digits 26 (“LORD”) then 86 (“God”). Mat 1:23 is the 23168th verse in the Bible, which is one (God) encompassed by 2368, the numerical value of Ιησους Χριστος (“Jesus Christ”). There is stunning coherence between these accounts in Isaiah and Matthew. Jesus said: I am the bread of life, and we have already seen that the word “bread” appears in 330 Bible verses (KJV). And we’ve seen that beginning from position 330 in pi are the four digits 0962. Beginning from position 5371 in pi are those same four digits 0962, which is the gematria value of the first LAMED verse in Psalm 119 (see above). The first occurrence of 197 in pi begins from position 37, which number is a factor of all repdigits from 111 to 999. The number 26 is the first two digit number to appear twice in the decimal digits of pi. the gematria of אחד (echad) translated as “one” as in “one LORD” = 13. It’s interesting that “Emmanuel” has one Bible reference, whilst “Immanuel” has two. The other (Isa 8:8) gives another nod to the eight-fold alphabetic structure of Psalm 119. 8876 is the numerical value of a verse from the Gospel of John, giving an account of Jesus on the cross, just before his death. In this verse, Jesus said: "I thirst" (διψω) which has a numerical value of 1514. The occurrences of the number 72 at positions 288, 1008 and 4563 in pi are immediately followed by the single digits 6, 0 and 2 respectively. the 82nd Hebrew word in the Bible is אלהים (Elohim) translated as "God"
When Jesus said: "I thirst" (Joh 19:28), they filled a sponge with vinegar, and put it to his mouth (Joh 19:29). The word "thirst" appears 31 times in the Bible (KJV). This is the gematria value of אל (El) Strongs H410, translated as "God" 213 times in the Bible (KJV). The first occurrence of 213 in pi is followed by the four digits 3936, which is the gematria value of a verse from the Book of Deuteronomy which reiterates the point made by Jesus in Mat 22:32 (see the opening lines of this article). In this verse "all of us" is in Hebrew אלה (el-leh) Strongs H428. The word "thirst" appears in 31 Bible verses, and 6 of these are in the Gospel of John. Jesus said, "I am the bread of life", saying those that come to him would never hunger, and never thirst (Joh 6:35). It was customary during the Festival of Sukkot to bring water in a golden pitcher from the pool of Siloam to the Temple. This was to remind the people of the water from the rock in the desert (Num 20:7-11), and as a symbol of hope for messianic deliverance (Isa 12:2-4). On each day of the festival there was a procession, including prayers for deliverance (Hosanna meaning "deliver" or "save"). The last great day of Sukkot is Hosanna Rabbah (the Great Hosanna), the culmination of those prayers. It was to the pool of Siloam that Jesus sent the blind man, who washed therein and received sight (Joh 9:7-11). On Hosanna Rabbah, Jesus said "If any man thirst, let him come unto me, and drink" (Joh 7:37). In this verse, "thirst" (διψαι) has a numerical value of 725. Beginning from position 725 in pi are the three digits 344, the gematria value of ובני עליון כלכם ("you are all children of the most High (Elyon))" from Psa 82:6. After receiving the vinegar, Jesus' last words were "It is finished", and he gave up the ghost.. In the Book of Exodus, the miracle of the parting of the Sea of Reeds is recounted in three Bible verses (Exo 14:19-21) which each consist of 72 Hebrew letters. From these, a complex divine name of 72 triads is composed. According to the Zohar Beshalah (Exodus) 48b, it was by invoking the power of this formula that Moses was able to part the sea, enabling the Israelites to escape Pharaoh and the Egyptian army. The word zohar (זהר) Strongs H2096 means "brightness (of the sky)", and appears twice in the Bible (Eze 8:2, Dan 12:3). “When Adam was in the Garden of Eden, God sent down to him a book by the hand of Raziel, the angel in charge of the holy mysteries. In this book were supernal inscriptions containing the sacred wisdom, and seventy-two branches of wisdom expounded so as to show the formation of six hundred and seventy inscriptions of higher mysteries.” Bereshith 55b. “In the middle of the book was a secret writing explaining the thousand and five hundred keys which were not revealed even to the holy angels, and all of which were locked up in this book until it came into the hands of Adam.” Bereshith 55b. “How precious in mine eyes are thy companions, O God , how mighty are the chiefs of them.” Zohar, Bereshith 55b. The first occurrence of 15590 in pi begins from position 7277. The preceding three digits are 358, the gematria value of משיח (Moshiach). “Repent, for the kingdom of heaven is at hand” (μετανοειτε ηγγικε γαρ η βασιλεια των ουρανων) has a numerical value of 3827. Beginning from position 3827 in pi are the three digits 913, which is the gematria value of the very first word in the Bible ראשית (Beresheit), translated as ”In the beginning”. The following four digits ar 0217. The account of the parting of the Sea of Reeds, containing the 72 triads of the Holy Name, is taken from Exo 14:19-21. A pillar of cloud came between the Egyptians and the camp of Israel, causing darkness to them and light to these. In this verse, the Greek word ονοματι (“the name”) has a numerical value of 541, as does the Hebrew word ישראל (“Israel”). 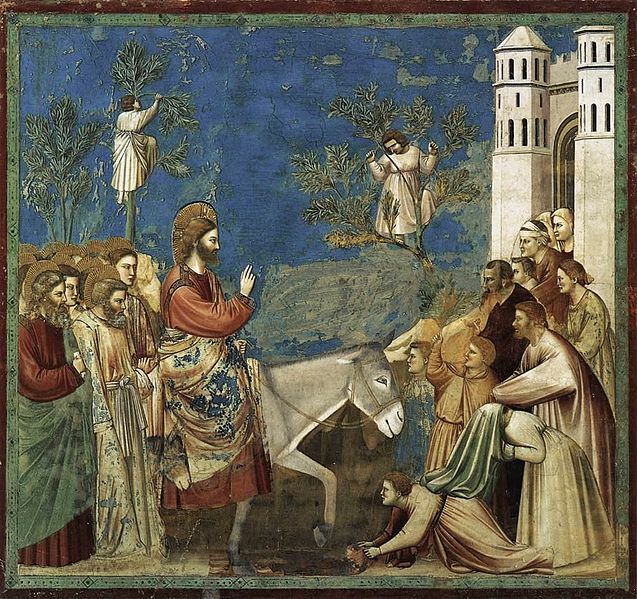 The word the people cried when Jesus made his entry into Jerusalem was ωσαννα (Hosanna) meaning “Oh, save!”, a word of Hebrew origin, from ישע (yasha) meaning “save”. When David sought to bring the ark of God to Jerusalem, he gathered together all the chosen men of Israel, thirty thousand (2 Sa 6:1). The number 13331 is the 1583rd prime number. Zephaniah spoke of a pure language (שפה ברורה), which has a gematria value of 798. The first occurrence of 798 in pi begins from position 99. In Psalm 119, verse 72, the poet compares the law (Torah) of thy mouth with great wealth (Psa 119:72). In this verse, “the law of thy mouth” (טוב לי תורת) has a gematria value of 1063. The first occurrence of 179 in pi is followed by the five digits 31051. The 31,051st verse in the Bible is Rev 20:12, which speaks of the last judgement, when the “Book of Life” will be opened. There is only one verse in the Bible with a gematria value of 611. The term from the above verse: “and the Lord, whom ye seek, shall suddenly come to his temple” (ופתאם יבוא אל היכלו האדון אשר אתם מבקשים) has a gematria value of 2148. The “pure language” (שפה ברורה), spoken of by Zephaniah, has a gematria value of 798. Following the first occurrence of 798 in pi are the four digits 2148. From 1 Ti 3:16, comes the phrase “God was manifest in the flesh” (θεος εφανερωθη εν σαρκι), which also has a numerical value of 2148.
the first occurrence of 101 in pi begins from position 852. Jesus, the Son of David, said: “I am the bread of life” (Joh 6:35), “I am the resurrection, and the life” (Joh 11:25), and “I am the way, the truth, and the life” (Joh 14:6)“. In Hebrew, the word “life” is חי (chai). The word חי (chai), meaning “life” is Strongs H2416. With a probability of .001 (one chance in a thousand), the first occurrence of 918 in pi is surrounded on both sides by the same three digits, in this case 559. The numerical configuration 559918559 is centered around position 2220 in pi. In pi, the three digits beginning from positions 118 and 1,000 are 647 and 938 respectively (see above). According to that same tradition, there are 365 negative commandments in the Torah. The Torah (“law”) was God’s covenant with Moses and with the people (Exo 34:27). In Rom 10:9 (see above), "Lord Jesus" is spelled κυριον ιησουν, which has a numerical value of 1388. This is the gematria value of a verse in the Book of Genesis speaking of salvation. The name "Jesus" is from the Greek Iesous, but was originally in Hebrew Yeshuwah (ישועה). This verse consists of just three words: Yeshuwah and the LORD, separated by קויתי ("I have waited") which has a gematria value of 526. The first occurrence of 526 in pi begins from position 612 (covenant). The word "salvation" appears 164 times in the Bible (KJV). Beginning from position 164 in pi are the five digits 02701. (0)2701 is the gematria value of the very first verse in the Bible ("In the beginning ...."), here followed by 938 (Amo 5:20). With the day of the LORD fast approaching, the Lord Jesus represents a new beginning for all. The time of waiting is soon to pass.